Our cats like to try new foods. But, they have fragile stomachs and finicky palates. As you know sharing the wrong food with your cat will only bring trouble for your cat. And, Many pet owners faced countless horror situation when their cat even licked a small amount of food that they shouldn’t have. This has resulted in quite a bit of anxiety surrounding the issue of cats and human food. 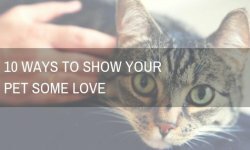 Many people have their own opinions about their cat and the cat food while suggesting another cat owner. Some people think sharing fruit with a cat is animal abuse. But, not everyone thinks the same. But what’s the truth about sharing your favorite fruits with your feline friend? Let’s discuss cantaloupes today. So, today’s question is “can cats eat cantaloupe“? Let’s discuss the answer. 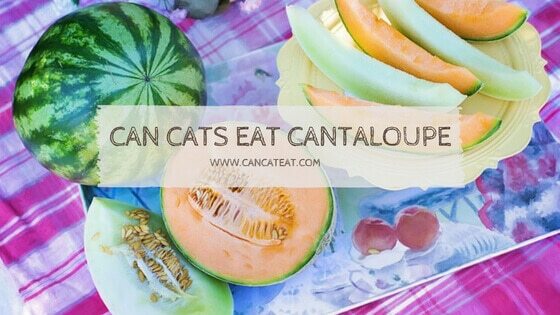 1 Can Cats Eat Cantaloupe? The Answer is Yes. 1.2 Why Do Cats Eat Cantaloupe? 1.6 What Parts of The Cantaloupe Should I Feed to My Cat? Can Cats Eat Cantaloupe? The Answer is Yes. The short answer is yes. Cats can eat cantaloupe safely because cantaloupe is non-toxic to cats. Cats are a very curious animal. Some cats might try a new food here and there. But, I have seen many cats eating cantaloupe, watermelon, and honeydew melon. They are crazy over melons. Question is they do not have sweet teeth. Why and how they are enjoying it. This is still a mystery. But, we decided to investigate what is with cantaloupe and cat. We looked around and come up, there is a lot of speculation, it could be the texture, the taste and the feel of it. Cats can eat cantaloupes in moderation. Many cats love to eat cantaloupe more than any other fruit. We know cats eat meat eater. But, many pet owners like to discover that their furry friend than a devoted meat-eater. Not all fruits are toxic to cats. Most fruits are safe for cats, cantaloupe is one of them. they are safe for housecats. So, there is no need to panic if you find out your cat wolfing down the cubed cantaloupe that you left on the table. Even, you will find out it not only your cat, many cats around the world love to eat cantaloupe every now and then as a treat. Why Do Cats Eat Cantaloupe? Cats are a carnivorous animal. They need protein in their diet. The good thing is a research study shows the key to why so many cats love cantaloupe. On the basis of research, It smells like meat. As we know Amino acids are the building blocks of protein. Amino acids what meat is made of. Some of the same amino acids that you could find in meat are also present in cantaloupes. But they are in much smaller quantities. We can’t tell exactly what meat smells like to a cat. Most of them are hard-wired to be attracted to it and it makes sense because carnivorous animals would be highly sensitive to all of the compounds in meat. This could be the reason behind their interest in cantaloupes. Is there any health benefit associated with cantaloupe that will help your feline friend? As far as nutrition goes, No, your cat wouldn’t get much out of eating cantaloupe. This is because cats are obligate carnivores. This is why your feline friend is so prone to ignoring non-meat foods like apples, bananas, pineapple, and broccoli. They are classified as a carnivore. However, they like to have more than just a taste for meat. All obligate carnivores have to meet all of their nutritional intakes by eating animal protein food like the muscles, organs, and other body parts of prey animals. As a result of eating other animal meat diet of whole prey, our feline friend’s bodies have largely lost the ability to digest nutrition from plant sources like fruits and vegetables. As a result, Both their dietary needs and their digestive abilities have been shifted. And a direct result of these adaptations. There is the relationship between cats and Vitamin C. We absolutely disabled to make Vitamin C by our own. So, we must get Vitamin C from our food. But, our cats produce all the Vitamin C they need inside of their own bodies. Cantaloupe is a great source of Vitamin C. So, that does not mean provide any importance for our cats. But, Cantaloupe is another great source of Vitamin A versus beta-carotene. Beta-carotene is a chemical that makes fruits and vegetable orange. And that is the ingredient that we use to make Vitamin A. But, Cats, on the other hand, are not capable of converting beta-carotene into Vitamin A. They must get the vitamin A from outside by eating the bodies of prey animals. They could get it from the animals have done the converting to Vitamin A. So it’s safe to say that your feline is not attracted to cantaloupe for any nutritional reason. The reason is that cantaloupe produces a scent similar to the smell of the proteins in meat. This means that your cat having desire to eat cantaloupe is an evolutionary fluke. That said, your cat may be to get some small benefits from eating fruits like cantaloupe, watermelon, and other melons. Melon is high in antioxidants, which will help with a decreased risk of heart disease, the cognitive decline commonly associated with aging, and cancer, infection, arthritis. This is behind is antioxidants can destroy free radicals. They are the particles that cause much of the cell damage that results in the mutations in our cats. That is the thought to lead to many of the life-threatening illnesses. What Parts of The Cantaloupe Should I Feed to My Cat? In case, you want to spoil your pet cat with this sweet, flavorful fruit. First, you should peel off the skin first. The important tip, you do not want your pet to choke on the fruit skin. The outer skin of the cantaloupe should be taken off by you before sharing with your cat. The skin is too hard to chew, swallow, and digest. If your cat has eaten his rough skin. Then you call a vet for inspection and finding out the symptom and blockage. And, another thing you should care for is to take the seeds out of the melon. As they can turn out to be quite harmful to your cat’s digestive system. After doing all this thing, you could slice the inner melon and serve some sweet pieces of cantaloupe to your cat. And, Do not share bad food with your cat either eat yourself. You should make sure the fruit is pure. Cantaloupe can be a mixed in with your kitty kibble as a treat. Cats can be quite picky sometimes. Some cats may not like this fruit. So, do not feel bad if your cat moves away from cantaloupe. Yes, They could eat in a small amount every now and then. Honeydew melon also is known as Casaba melon is safe for cats according to ASCPA. If you are going to give honeydew melon to your cat, then give it in moderate amount because they contain a lot of fibers. First, you should take the seeds out of it. And, then you should mash it or cut it into small pieces to avoid choking hazard for your cat. 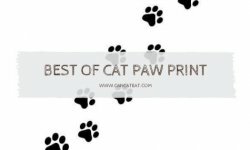 They are really good as a treat for your cat. They are well known for their taste and also rich in vitamin and minerals. Yes, Cats could eat watermelon safely. If you are thinking about sharing some watermelon occasionally. Then it is fine to give her as a treat. Watermelon can help to rehydrate your cat and good for summer days. Some cats might try to eat fruits and some might like it. But, Why? It might be because they watch their owner eating certain foods. And, They are curious enough to try them out. There are many cats who love melon. More often you may find your cat playing with them. It could be because of its texture and the color. The quick answer is yes. cats can eat pineapple. They are only good in a small amount. Because, pineapples contain a high amount of fructose, which is not good for cats. If your cat eating a good amount of this fruit is likely to cause diarrhea in cats. However, some cat may like pineapples, if your cat is one of them, then feeding her a small amount is okay. Cantaloupe contains dietary fiber. This could be beneficial to your cat’s digestive system in small amounts. Dietary fiber can help to balance the digestion by preventing both constipation and diarrhea: The fiber intake is associated with a lower incidence of colon cancer in cats and human both. Even though cantaloupe is not toxic. They should not make up a large part of your cat’s diet. Cantaloupe is largely nutritionally empty for our cat. So your cat may end up malnourished and overweight if they are continuously consuming a lot of calories in the form of cantaloupe. Most cats have difficulties in digesting high-carbohydrate foods like fruit. This can result in upset stomach and diarrhea. Therefore a cantaloupe is a safe option for healthy cats. But, You should feed them too much of it. The good thing is they are low in calories and fat, nontoxic, and generally well tolerated. In case, you decide to give your cat cantaloupe, first make sure to remove the peel of the fruit. Then cut it into small sized pieces before serving to your cat. As with all new foods, monitor your cat for negative effects or reactions after they have eaten cantaloupe. If she shows any kind then, you should stop giving her the fruit. 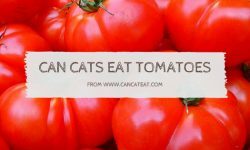 Hope this article helps you to solve your doubt around “can cat eats cantaloupe“.